Our current ISO certificate is pictured below. Click on the image to open the PDF file for viewing or printing. 800 X 600, 16 bit color for best viewing. 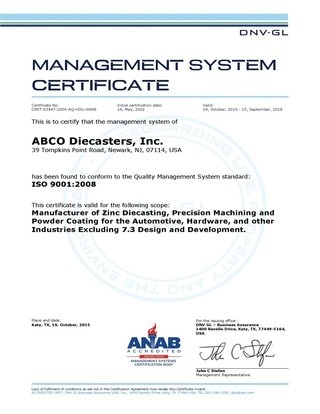 Copyright � 2000-2012 ABCO Diecasters, Inc.